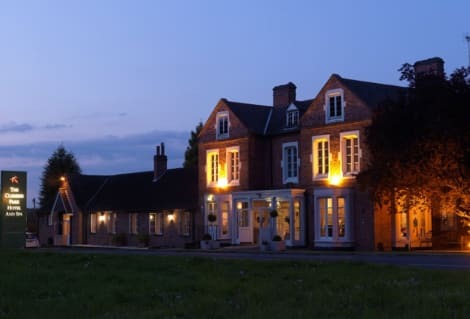 Sit back and relax at The Clumber Park Hotel and Spa, where you can enjoy 3-star accommodation in amongst the countryside and surrounded by beautiful scenery. Unwind in the New Leaf Spa, where you can take a dip in the indoor pool with whirlpool, or book a treatment. Enjoy a gym session, or head outside and take in the view from the outdoor hot tub. Before heading to your cosy room, fitted with Plasma TV and free wi-fi, enjoy dinner at the Courtyard Restaurant or Normanton Inn. Please note that the room service tray charge is 3GBP, the pay per view movies-out of a wide selection of DVD's-cost 5GBP each and Wi-Fi vouchers can be purchased via BT OpenZone. Stop by the hotel's bar, 114 Bar & Grill, for lunch or dinner. Dining is also available at the coffee shop/café, and 24-hour room service is provided. Full breakfasts are served on weekdays from 6:30 AM to 9:00 AM for a fee. On the northern fringe of the famous Sherwood Forest, Worksop has inherited the nickname of the 'Gateway to the Dukeries' thanks to its proximity to several historic ducal seats: Worksop Manor, Welbeck Abbey, Clumber House, and Thoresby Hall. This town is overlooked by Grade I-listed Worksop Priory, which has existed for more than 900 years and was an important monastery until the Dissolution of the Monasteries in the era of King Henry VIII. Worksop is also famed for Mr Straw's House museum, where you can see how a grocer's family would have lived in the area back in the 1920s. Established in the 18th century, this majestic country mansion is another remarkable Grade I-listed landmark, although a manor has existed at this site since the Middle Ages. The current Worksop Manor, which is noted for its special quadrangle shape, was designed by James Paine, who also designed the sSEOSITE_LEVEL_DESCRIPTIONs of the striking country mansion of Chatsworth House in Derbyshire. Grade I-listed Welbeck Abbey was built on a former 12th-century religious building and became a country house in the 17th century. Despite falling into dereliction in the Victorian period, the building has been carefully restored and still surrounds 15,000 acres of grounds. Clumber House was an enchanting country mansion in the Georgian era, although the building suffered several fires in later years and was eventually abandoned and demolished in the early 20th century. However, the grounds now comprise an attractive country park that is open to visitors and maintained by the National Trust. Dating back to the 19th century, Grade I-listed Thoresby Hall was built on a site that was originally owned by Robert Pierrepont, the First Earl of Kingston, who supported the Royalists in the English Civil War. The site was sold after the Second World War and is now an exclusive hotel and luxury spa. Treat yourself to some terrific Thai dishes at the Thai Cassia Bar & Restaurant, enjoy hearty English classics at The Anchor Inn, or have some vibrant Indian cuisine at the Kahmir Tandoori. The Oliver Grove Bistro also serves tantalising Mediterranean-themed meals, while The Raj provides other delightful Asian-inspired dishes. 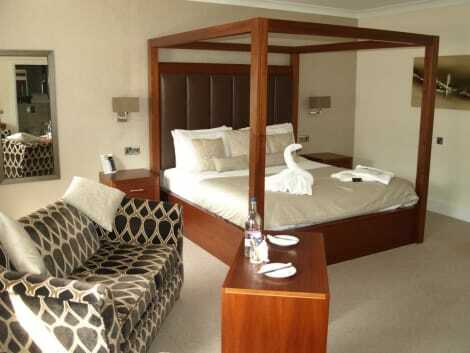 There are plenty of affordable Worksop hotels you can consider, including the stylish BEST Western Lion Hotel, the well-presented Acorn Lodge Guest House, and the friendly and comforSEOSITE_LEVEL_DESCRIPTION Station Hotel. Another reputed, high-end hotel is the nearby Clumber Park Hotel and Spa, while the photogenic Hotel van Dyk is ideal for special occasions.